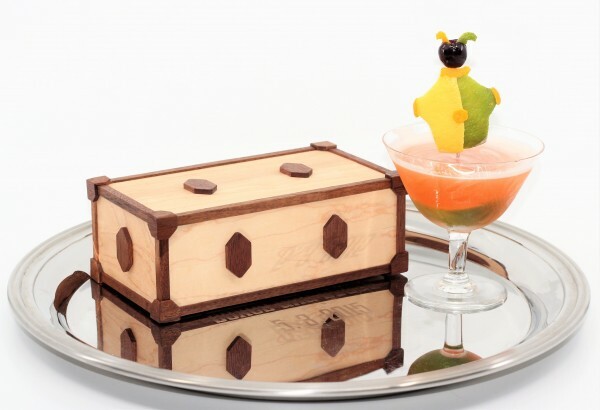 I’m making a toast to a special Jack-in-the Box with a classic cocktail that’s perfectly paired. The box is the work of a mathematician from the Netherlands who has created a sort of autobiography in a puzzle box. It deserves a fitting toast as well, which in this case features the wonderful spirit Calvados. Calvados is a fine apple brandy from the Normandy region of France, where the spirit has been made for over five hundred years. There are over two hundred varieties of apples used, with bitter and bitter-sweet apples comprising 70% of the mix, and sweeter apples or pears making up the rest. A fine barrel aged calvados is similar to a fine cognac, scotch or whiskey in complexity and enjoyment, with its own unique characteristics. 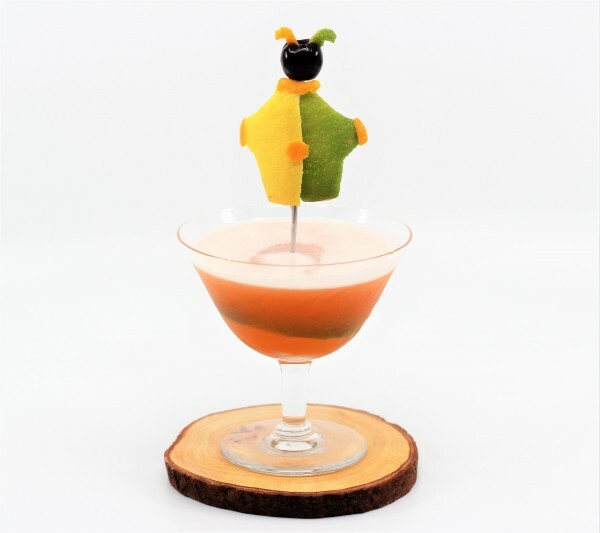 The Jack-in-the-Box cocktail first appears in the original “Old Mr. Boston Deluxe Official Bartender’s Guide” from 1935, a classic tome that was first published shortly after the repeal of Prohibition. The recipes were compiled by Leo Cotton, a purchaser for the Mr. Boston liqueur brand, who sourced the classics from the memories of well-known old bartenders of that era. 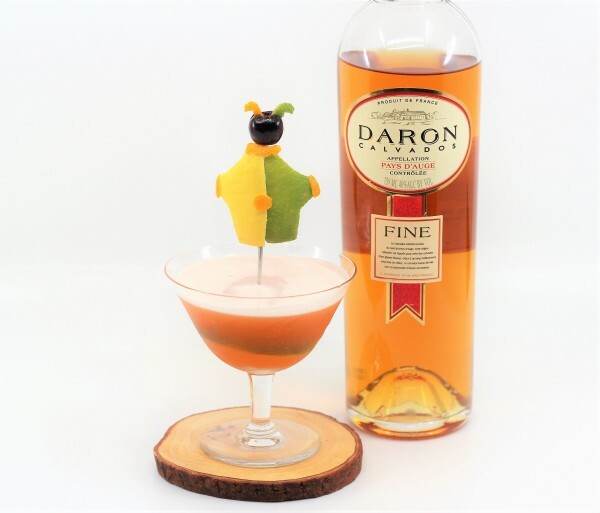 In the original, equal parts Calvados and pineapple were used, but a more spirit forward and less sweet version works better. The origin story and inventor of the Jack-in-the-Box cocktail is otherwise lost to history, but no matter. We can add to the story now with a new page, a puzzle box biography written in wood. Cheers! Shake together with ice and strain into a favorite glass. Turn glass around and around until surprising garnish pops up.